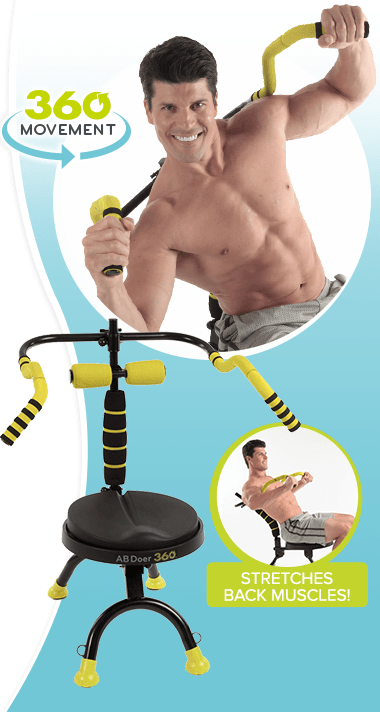 Transform Your Entire Body with Abdobics®! 3. Advanced - the ultimate in-calorie burning and muscle toning. 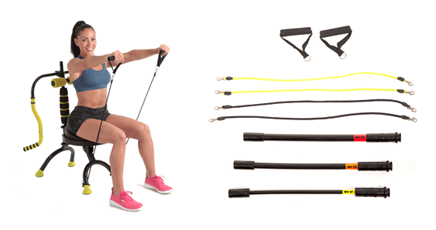 Also included are 2 sets of Resistance Bands (Levels 2 & 3) and 2 handles that will help you work your arms harder and achieve your results faster. 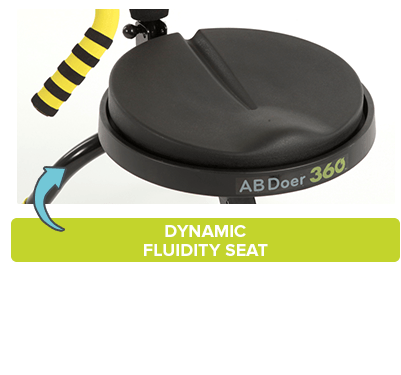 Ab Doer 360™ is the ONLY fitness system to use ABDOBICS™, the revolutionary workout scientifically designed to burn more calories & build muscle fast! The secret is John Abdo's exclusive combination of ab-toning & muscle-shaping with heart-pounding cardio! Targets major muscles around your waistline with patented Multidirectional Technology. 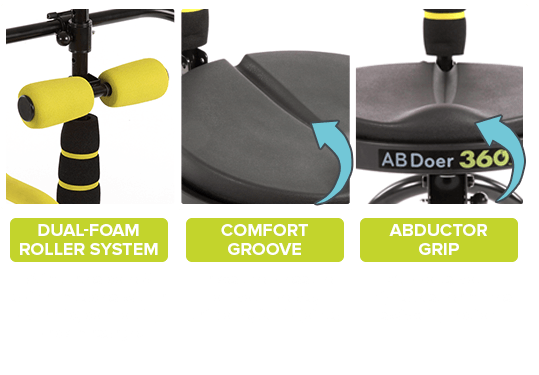 Tightens your core, improves flexibility, & alleviates back discomfort - all from a comfortable, seated position! 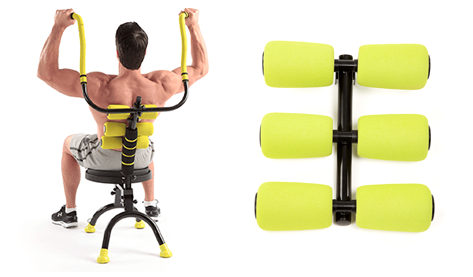 Over 3 Million People Worldwide Have Discovered the Ab Doer™ Fitness System. 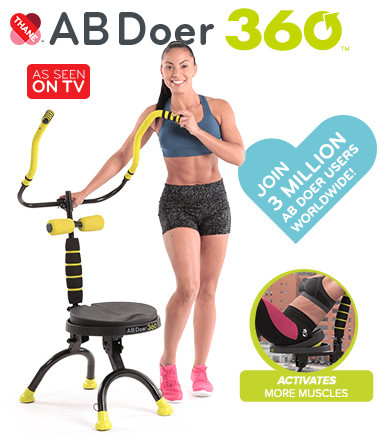 Now is Your Turn With The Ab Doer 360™! 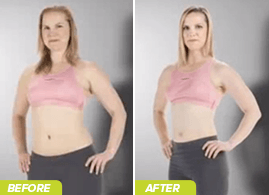 Results shown achieved following the AbDoer Twist™ system which includes workouts on the AbDoer Twist™ and a calorie restricted diet plan. Your results on the AbDoer 360™ will vary. Get Off The Floor & Tighten More Core! T Exercise and proper diet are necessary to achieve and maintain weight loss and physical fitness. Consult your physician and carefully review the instruction manual before using this product or performing the exercises presented in the included exercise programs. If you experience any discomfort or difficulty with the exercises or diet, discontinue immediately and consult your physician. 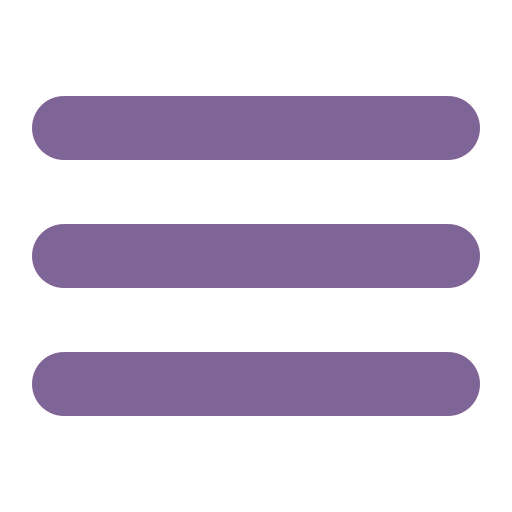 The information contained herein is not intended to diagnose, treat, cure or prevent any disease or medical condition, or serve as a substitute for medical advice or counseling.